Hailing from Germany all the way to Atlanta, Ga., licensed master cosmetologist Diana Pagan has integrated her global experience with her extensive training to bringing notable style and panache to the Atlanta community. Diana specializes in hair coloring, highlights, demi-color, color correction, hair extensions, permanent straighteners, relaxers, natural hair, facial waxing, men and women haircuts as well as specialty services including hair restoration, protein treatments, moisturizing conditioning treatments, formal updos, bridal updos, specialty styling and other creative coiffures. As an independent master stylist designing in an upscale salon in the heart of Dunwoody in Atlanta, Ga., Diana has created high-end hair designs for fashion shows at various venues as well as chic, elegant and versatile hair designs for her everyday clients. Diana loves making people feel beautiful, and her clients have the hair to prove it. “Designing hair isn’t just about doing a job. I love people and I love giving each person my undivided time. That is how I aspire to treat each client that sits in my chair,” she says. Growing up in Germany, within close proximity to Paris, the Mecca of fashion, Diana was immersed in the culture of high fashion from a young age. This early exposure to high fashion has contributed greatly to Diana’s progressive and avandt garde outlook on hairstyle. Diana eventually ventured to the United States to pursue her craft at Columbus Technical College in Coumbus, Ga.
After graduating in 2001 with a concentration in hair cuts and color, Diana returned to Germany and opened her first beauty salon in 2001. Her varied range of experience includes working for Macy’s salon, Ecotage in Lenox Mall, where in addition to working with a varied set of upscale clients, she prepared models for the runway at various fashion shows. Diana later styled hair at Dobel Salon and Day Spa in Atlanta, Ga., and now is a designer at an upscale salon in Atlanta’s Dunwoody, the most fashionable hair district in the city. Diana is constantly adapting and evolving to meet her patrons’ needs and stay up to date with current trends. “Styles change; people change, and my goal is to master what my client wants,” she says. In fact, every two months, Diana attends hair shows where she learns the latest techniques in hair cuts, hair color, highlights, quick color techniques and hair extensions, Keratin treatments, permanent straighteners, relaxers and updos. Diana specializes in products and services created by Redken, Moroccan Oil, and Matrix hair color. 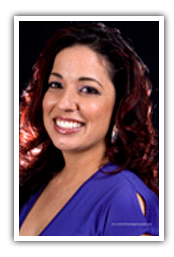 Diana is dedicated to providing the best customer service and the best salon service, and she guarantees all her work. It is Diana’s passion in life to make her clients look good, and her success can be attributed to her intense dedication to this goal.